All schools are required as part of a broad and balanced curriculum to promote the spiritual, moral, cultural, mental and physical development of pupils in school and society as set out in the section 78 of the Education Act 2002. In addition, schools are required from 2014 to promote fundamental British values in school. At St John’s these core values are reinforced throughout the curriculum in many ways. 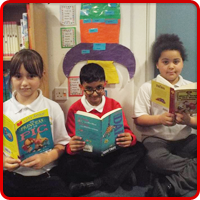 At St John’s CE (A) Primary School we value the diversity and background of all pupils, families and the wider community. We aim to contribute to each child’s journey through school and life, so they can all grow into caring, responsible, safe and tolerant adults who will make a positive contribution to our society and the world. We encourage all our pupils to be respectful, caring, enquiring, responsible individuals who respect themselves, others in the school, our community and the wider world. Responsibility, Resilience, Co-operation, Respect, Honesty, Friendship & Kindness. Democracy is promoted through the School Council who discuss issues regularly and actions are taken as a result e. g. changes to playground resources, ideas on e-safety, pupil safety. 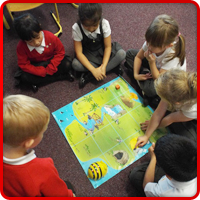 An Eco Council meets to discuss eco issues of their choice. Older pupils take part in the annual Local Democracy Week (Mandate for Change) held at the town hall where in conjunction with other schools they discuss issues that could be improved, which are then forwarded to the council. Pupil questionnaires and surveys also take place. Children are encouraged to debate topics of interest and express their view in a variety of ways. They have the opportunity to have influence in their class and are encouraged to voice their opinions to members of staff. This is encouraged during class assemblies and on special days. Each class negotiates its own class behaviour rules. The Rule of Law is promoted through teaching in that we are all governed by rules that have to be obeyed in society. 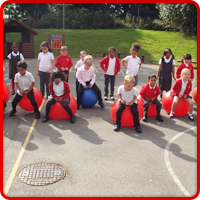 We aim to provide an orderly and caring atmosphere for learning to take place. Pupils are taught from an early age that the school has rules and why they are important to keep everyone safe. Children are helped to distinguish the wright from wrong in the class, during assemblies and in the playground. The Behaviour and Anti-Bullying charter sets out a zero tolerance for aggression and violence. Pupils are rewarded for good behaviour and taught about the consequences when rules are broken. This is also reinforced in the teaching of R.E. and PSHCE. 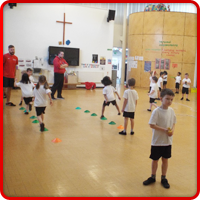 Individual choice is promoted throughout the school in our safe and supportive environment. We give pupils information to make informed choices and set boundaries to help them. Pupils can choose lunch-time or extracurricular activities. Our ‘Challenge Homework’, each week, is undertaken by choice. Within school, pupils are encouraged and given the freedom to make choices in a safe, ordered and supportive environment. They are supported to develop their self-confidence and self-esteem. All pupils are encouraged to take responsibility for their own behaviour and to make the right choices. Mutual respect is embedded in the school ethos and actively promoted through the curriculum and in worship themes. Class teachers further develop this with all classes. The impact of bullying and poor behaviour is regularly addressed. Respect is one of the core values at the school and pupils know that they “Give Respect-Get Respect”. Pupils are taught to respect their own cultures and are encouraged to challenge prejudice and discriminating behaviour. This is developed through the PSHCE and RE curriculum. Tolerance of others is actively promoted daily in our diverse school. Pupils are taught to celebrate differences in people and respect those of a different faith; celebrations of other faiths are also taught in the school assemblies. Discussions involving prejudices and prejudice based behaviour has been discussed, followed and supported by learning in PSHCE and RE. The annual Faith and Understanding Week attended by all pupils gives pupils the opportunity to visit and study other places of worship.